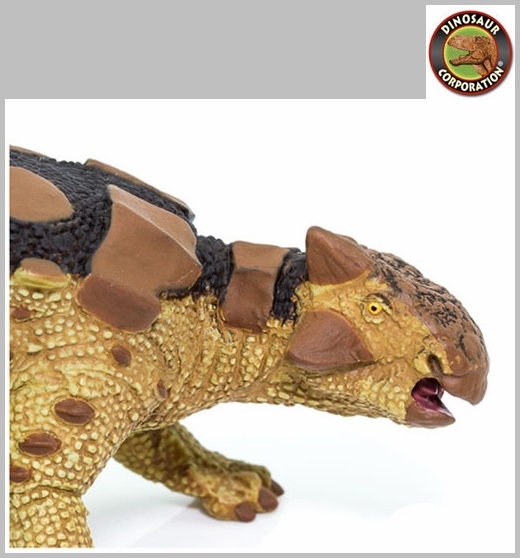 Safari Ankylosaurus toy is museum quality dinosaur replica, hand painted and finely detailed dinosaur model, authenticated by the paleontologists of Museum of Natural History. 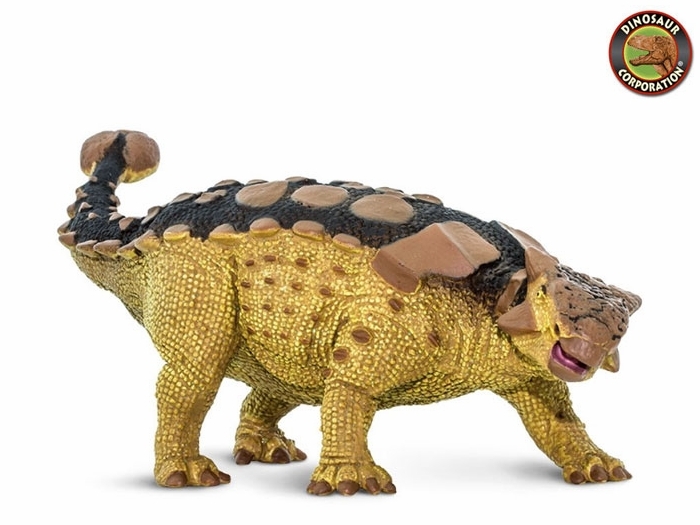 Ankylosaurus toy is a great collectible dinosaur figure for kids and serious collectors. * Ankylosaurus is 7 1/2 inches long and 2 � inches high (19 cm x 6.4 cm) to the tip of his raised tail. Its back features brown dermal plates on a darker brown upper body, with a light yellowish-brown below. Ankylosaurus magnivetris was covered in bony protective plates, and this hand-painted figure reflects that feature in exacting detail. Its tail club is raised defensively, as if preparing to strike at an attacking foe.